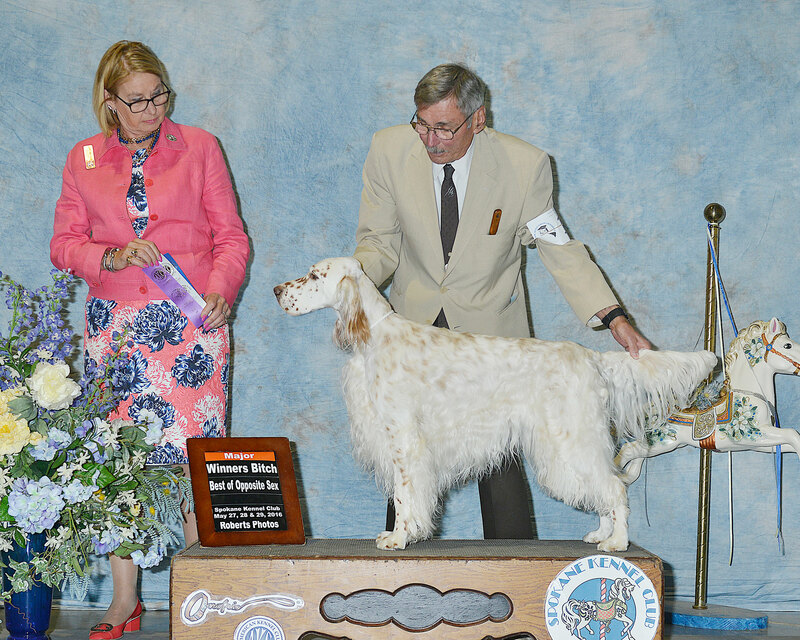 "Lucy wins two 4 point majors to finish her AKC championship. 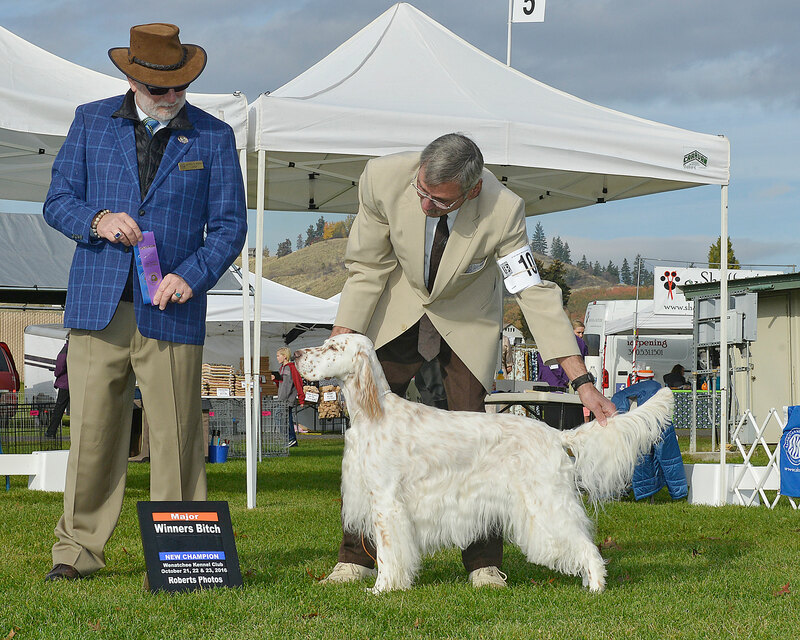 The first major at Spokane (May 29) and the second at Wenatchee (Oct 23). She is doing great." 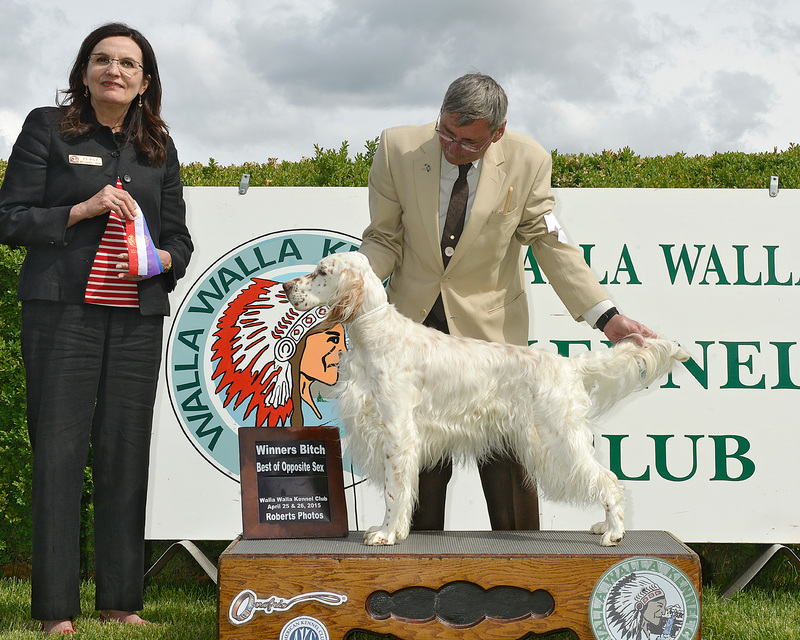 Lucy starts her show career with a double win at Walla Walla and winning two points. She is excellent in the ring following in her dams foot steps, Maggie.